Entrepreneurial thinkers (ETs) are a different breed! Entrepreneurial thinkers have special gifts for effective leadership and “visioneering”. ETs are often “mavericks” who make decisions first, then convince others to follow. If that’s you, this audiobook is made just for you! You believe there is nothing more fun, rewarding, and satisfying than owning your own business or running your own “show” at work, vocations, and activities you love. However, you are outnumbered many times over by people who just don’t see or think as you do. There is also nothing better than choosing satisfying, engaging, and mutually energizing relationships - but they don’t always turn out the way you envision. Most people are hired based on resume, experience, education, and well-meaning referrals...in other words, their credentials. But we all succeed or fail in the long run based on behavior, including ETs. It is not how much we know that makes us successful, but what we do with that knowledge, how we apply it, how we perform - and the big one: how we relate to and influence others. Simply put, personality matters in everything, but it is essential in the three Ps: performance, productivity, and profitability (and you can throw in happiness, too). 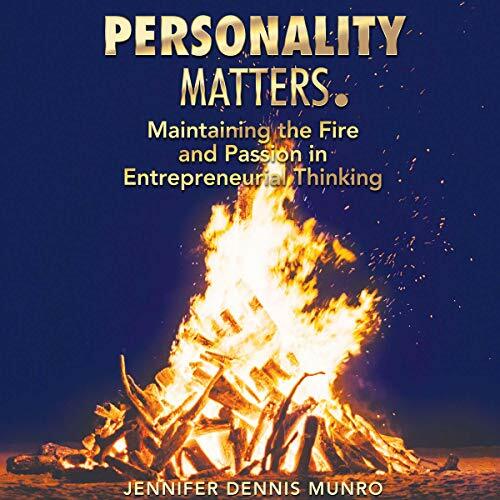 Personality Matters isn’t rocket science, but it is a science, one you can master quickly and forever to keep the fire and passion you feel now, or once felt, throughout your lifetime.